That play-by-play has been repeated thousands of times in the history of U.S. baseball. It was screamed when the San Francisco Giant’s Travis Ishikawa hit a pennant-winning home run in the bottom of the ninth to win his team a spot in the 2014 World Series. And when Hunter Pence hit a long ball to start the scoring in the Series. The phrase has marked thousands of priceless moments for baseball players and fans alike. But for Overly Monge, those moments aren’t priceless. To him, every homer has a very real price. Monge doesn’t know about the World Series that concluded just two weeks ago, or about Ishikawa or Pence. He’s from a country where soccer, not baseball, is by far the most popular sport. But Monge does know, just by look and feel, if a baseball is of professional caliber. And he knows exactly how much blood, sweat and tears it takes to make it so. Monge, 47, spent 15 years of his life making baseballs in a factory owned by Rawlings Sporting Goods in Turrialba, Costa Rica. With 750 employees, this small factory in a town tucked into the fertile mountains 60 kilometers east of San José produces the baseballs used in the major leagues. The factory’s output is about 2.4 million baseballs per year. Until 2013, the factory was the exclusive provider of baseballs for Major League Baseball, according to a report by Reuters. 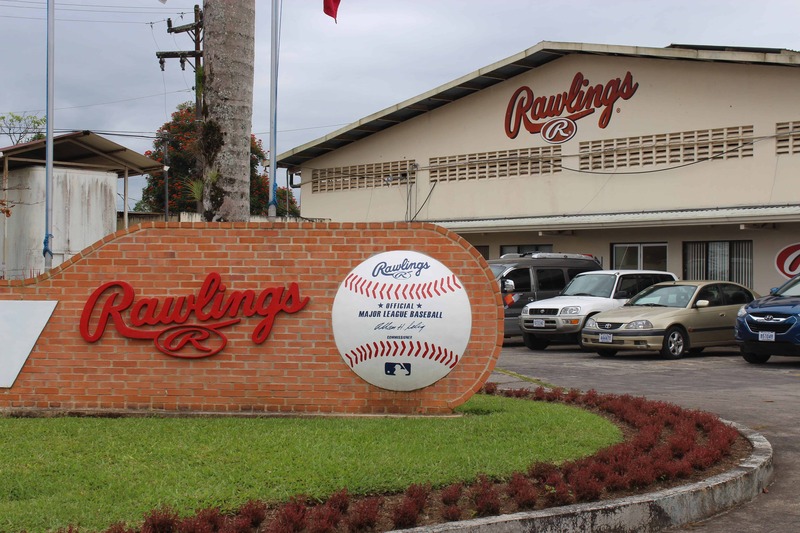 Rawlings Costa Rica didn’t confirm if it is still the exclusive provider of professional baseballs, although representatives did tell The Tico Times that Rawlings Costa Rica still holds a contract with Major League Baseball. The exact number of Costa Rican baseballs sent to the major leagues per year was kept confidential, but some reports have said upwards of 1.8 million. Demand for professional baseballs is steadily increasing. During every major league game about 100 baseballs are used. Once taken out of play, a professional baseball will not be reused – some because they are scuffed or dented, others because they are foul balls or home runs kept by eager fans. Some balls are recycled to batting practice and others are sent directly to the minor leagues. The average lifespan of a baseball in the MLB is just two plays during a game, and eight days total. Professional baseballs are made by hand at the Rawlings factory in Costa Rica. Each of the 108 stitches per ball must be perfect. The balls themselves are better than a machine could make them. About 300 of the factory’s employees are sewers, while many others are assemblers or winders responsible for constructing a ball’s core. Newer sewers wear medical tape on their fingers to protect themselves from cuts and blisters as they pull each stitch tight. But Monge proudly said that he had long since developed calluses and didn’t need the tape. Experienced workers like Monge can make between three and four baseballs per hour. “Costa Ricans know how to make the balls the best,” Monge beamed. But pride in his work quickly turned to anger as Monge explained that, in the end, he felt his expertise and loyalty to the company counted for little. “They threw me out like a dog on the street,” Monge said. Two years ago, Monge developed a severe pain in his right shoulder. Pains like this in the arms and wrists are common at the factory due to the poor ergonomics of hunching over a ball for nine or more hours a day, and performing difficult and meticulous movements repeatedly over the course of years. “The problem at that factory is that if you have a hurt shoulder, then you aren’t good for anything anymore,” Monge said. An injury like that is easily treated with rest, he said, but rather than providing medical care or transferring him to a different department for a short period of time, Monge claimed that factory management fired him. “They don’t give you any appreciation for your work, nor a letter of recommendation. They give you five minutes to leave the factory or be escorted out by security,” Monge said. “For those cases where Rawlings is not able to relocate an employee at the company, Rawlings opts for a full compensation of the employee in accordance with Costa Rican labor laws,” Gómez wrote in an email to The Tico Times. Monge alleged that he had to fight for his pay, and others said the company doctor is absent most of the time except for a few hours per week. Some employees at the factory say it is common practice for an employee to be fired immediately if a chronic injury develops that prevents the worker from making the quota. Ana – another worker who asked that her real name not be used because she feared retribution for speaking to a journalist – said that although the weekly quota for each worker is 156 balls, there is a lot of pressure to produce more. Although she has five years experience and makes more than her weekly quotas – which earns her extra pay – Ana said she fears she will develop an injury and be fired like others she knows from the factory. According to a 2004 report by the National Labor Committee (NLC) entitled “Foul Ball” – the most recent report of its kind – nearly 80 percent of Rawlings workers were injured or were suffering from repetitive motion disorders. Most workers at the time lasted less than three years on the job, the report stated. However, Rawlings has disputed all of the findings of that report. The company maintained that, “the Report does not reflect any of Rawlings conditions.” Gómez said that daily ergonomics training is offered every morning, and workspaces are sized according to height to help prevent injury. José has worked at the factory for 20 years, and said the daily ergonomics training is just a few minutes of exercises in the morning. He claims the practice is ineffectual in preventing repetitive stress injuries. “It’s too little. It’s a routine of three or four minutes. They are extremely basic movements that won’t help to prepare for what’s coming, because it’s many hours of work,” José said. The Tico Times spoke with employees who developed injuries this year and are afraid to see a doctor or say anything about the pain for fear of losing their jobs. They claim to know others in the same situation. “If you have a pain, you have to remain quiet because at any moment they will fire you,” Ana said. “We are like machines. It’s easier to replace us than to repair us,” José added. José claimed that the factory atmosphere is stressful, and Rawlings looks for reasons to fire employees without severance. He alleged that last year, bosses spied on employees to see if they were doing anything that wasn’t permitted. One example he gave was helping a newer colleague meet a daily quota. “There are people there who come in at 7 a.m. and leave at 5:40 in the afternoon. They eat lunch in five or 10 minutes because they need to work. It’s hard for them to produce the minimum quota of balls. So, sometimes those of us who are a little faster, who can produce more balls, will help them, and that’s not permitted. If they see you helping a teammate, they fire you without pay,” José explained. José also claimed workers face intimidation and possible firing if they talk to journalists about what is happening inside the Rawlings factory. In a follow-up interview with The Tico Times, he said he was reported to managers for talking to a reporter outside the factory. 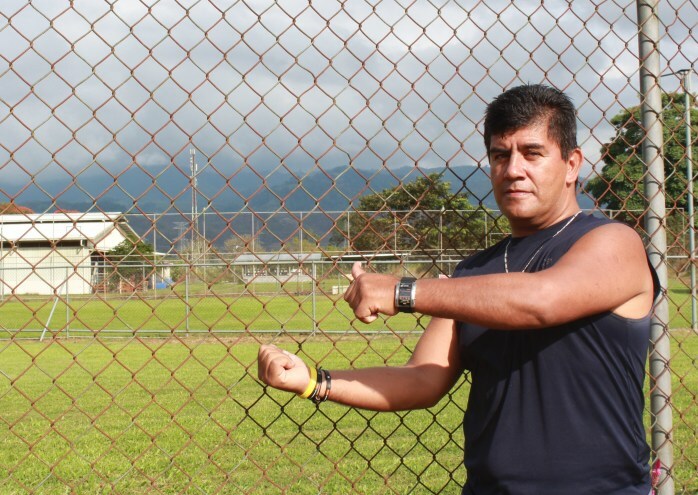 “The day I talked to [The Tico Times], they reported me with my identification code. I don’t know what measures they might take against me. They haven’t yet taken any,” he said. Still, workers claim there is little job security at the Rawlings factory in Turrialba. A high regional unemployment rate provides the factory with a pool of available workers to fill a vacancy at a moment’s notice, keeping Rawlings employees on constant edge. After agricultural labor, Rawlings is the largest provider of jobs in Turrialba. For many, it’s the best option they have. “The problem is that there are almost no other jobs in this area,” José said. Despite ongoing allegations of intimidation and questionable firing practices, Rawlings representatives and some employees said there is a good atmosphere inside the factory. When bat hits ball in the major leagues, two worlds collide. One is “the home of the brave,” where fans leisurely enjoy America’s favorite pastime. The other is a world of alleged insecurity and low pay, where every at-bat adds to a future quota that hundreds of workers may struggle to meet. Major League Baseball is a conglomeration of 30 teams with an average net worth of $811 million for each team. Five teams have a net worth of more than $1 billion each. In 2013, MLB’s gross revenue totaled up to $8.5 billion, while the average player’s salary was $3.39 million. MLB Commissioner Allan Huber “Bud” Selig’s salary is reported to exceed $20 million annually. 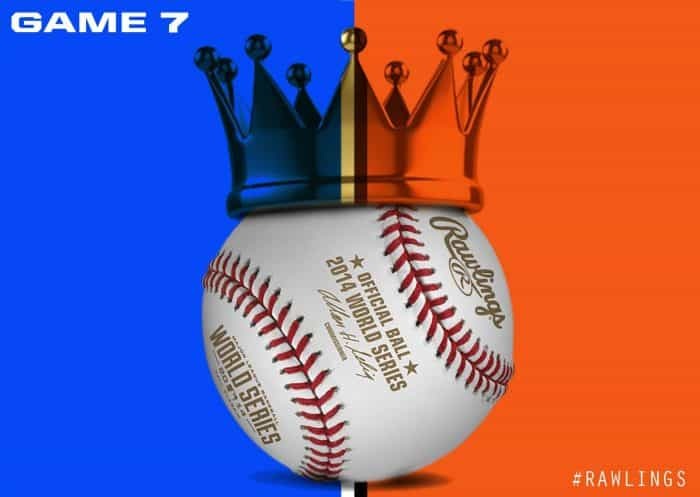 Average ticket resale prices topped $1,000 for this year’s World Series, and standing-room-only ticket prices ran about $400 each. In contrast, workers at the Rawlings factory in Costa Rica reportedly earn $1.88 per hour, although wages vary depending on productivity level. José said he makes about $2.33 an hour as a baseline wage. That totals about $100 a week, which barely meets Costa Rica’s minimum wage and is a far cry from a comfortable living salary in a country that has seen its cost of basic goods and public utilities continue to rise. Just 13 standing-room-only tickets for the 2014 World Series would have paid José’s yearly salary. Major League Baseball pays $45 per World Series ball, yet only about 50 cents of that goes to the Costa Rican worker who produced it. Yet Ana expressed her gratitude to the baseball players in the United States for playing and thereby giving her a job. She said that while she doesn’t understand much about the sport, her husband is a fanatic. And while she likes her job and is proud of what she does, Ana believes she should be paid a higher salary for her labor. “In reality, the way this work kills us, the pay is unjust,” she said. But for many workers, low pay is better than no pay, which often is the alternative in Turrialba. Employees also report that some conditions in the factory are harsh. The NLC report called conditions there “like being in jail.” Employees at Rawlings work long hours – nine or more per day – in a factory without universal air conditioning. Temperatures have reached upwards of 36 degrees Celsius (97 F) by some reports as the Costa Rican sun beats down on the factory roof. The NLC report from 2004 called on the company to install some sort of cooling system. According to Gómez, the Turrialba factory has a fixed fan system for air circulation. “Some areas of Rawlings facilities have air conditioning and other areas do not,” she wrote. Some employees said ventilation has improved over time, while others said there have been no changes at all. “The bosses have air-conditioned offices and we’re suffocating in there,” José said. The Tico Times requested a tour of the factory, but the company said it is unable to immediately facilitate the request. Ten years since that report was published, the fear of organizing continues among the workers interviewed for this story. “If someone does that [starts a union], they’ll fire you. They’ll throw you out, with no rights if you’re not careful,” Ana said. Instead of a union or collective bargaining, the workers at Rawlings have a solidarista association, which is a uniquely Costa Rican movement that entails a worker-management association managed by employees. That movement was founded in Costa Rica in the 1940s. Also according to the report, while the solidarista association makes payday loans available to workers and provides lunch coupons, it does not deal with: production goals, piece rates, wages, contracts, hiring and firing, grievances, overtime, health and safety, social security, social benefits, sick days, maternity issues and accidents. Like many corporations, Rawlings does not discuss the circumstances involved in the firing of one of its employees. But Monge said he believes he was dismissed two years ago partly because he was president of the solidarista association at the time. He said he used his position as a platform to speak in favor of workers’ rights and better working conditions. According to several reports, the Rawlings factory began transitioning from Haiti to Costa Rica in 1986, following the departure of former Haitian dictator Jean-Claude “Baby Doc” Duvalier, with whom Rawlings had an amiable business relationship. The company selected Costa Rica because of its renowned economic and political stability. 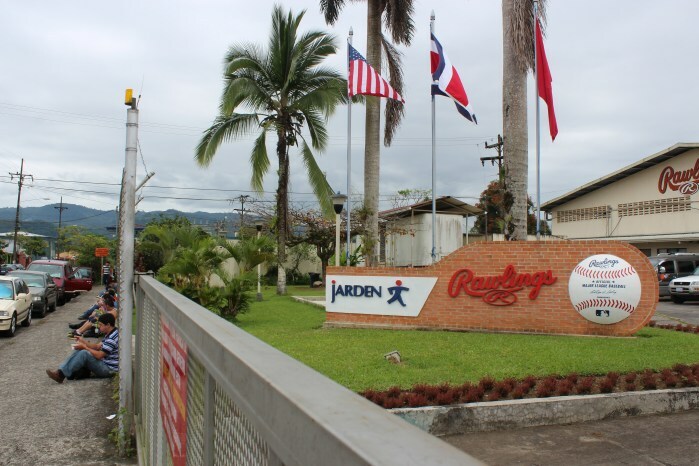 In exchange, Rawlings, now owned by Jarden Corporation, received a 5,000-square-meter free-trade zone in Turrialba to build its tax-free factory. The company imports – duty-free – all of the raw material that goes into making a baseball, including cowhide, cork and rubber cores, and sheep-wool thread, according to Reuters. Rawlings’ free-trade status also preceded Costa Rica’s larger free-trade agreements with the United States and other countries. In 2007, CAFTA-DR passed a national referendum in Costa Rica by a narrow margin, and the agreement took effect two years later, expanding free-trade zones across the country. While proponents of free trade say agreements like CAFTA-DR stimulate the economies of participating countries, critics say they erode labor-rights standards and promote “race-to-the-bottom” wages. Rawlings in Costa Rica is caught in a global trend towards low-wage jobs, competing with countries that have even lower minimum wages and less intrusive labor legislation. If wages were to increase in Costa Rica, what would keep Rawlings from moving the factory to Nicaragua or to China? Yet the threat of a factory moving elsewhere is common within the global maquiladora industry. It scares workers away from unionizing and fighting for better wages and conditions. In response to this growing problem, in 2012, the U.S.-based Workers Rights Consortium proposed the “Designated Suppliers Program“ (DSP). DSP is a licensing agreement between colleges and sports apparel companies that secures living-wage pay and long-term contracts between factories and apparel companies to prevent then from “jumping ship” to cheaper locations. Although DSP is currently limited to collegiate apparel licensing agreements only, it is one method for preventing some of the problems within the globalized production industry. In theory, Major League Baseball or any other professional sport could adopt DSP language into licensing agreements. Still, without a union the workers have little hope for organizing for change, and any action could jeopardize their jobs, workers claimed. Some said solidarity from abroad could help their situation. “It’s good that the friends in the United States know a little bit about what is really happening at the Rawlings factory in Costa Rica, that it’s not as nice as it seems,” Monge said. Ana urged professional baseball players in the U.S. to get involved. “If you can make a structural change, help us to make it,” she said. To date, MLB licensing agreements do not have “requirements or guidelines that address production standards, domestic versus foreign production, and labor standards at production facilities,” according to the NLC report. But the report’s authors proposed a solution: raise awareness among fans and players – many who don’t know where or how their baseballs are made – and push for policy change within Major League Baseball. “The amazing thing is that the Major League players have such power, that if even one of them spoke out, factory conditions and respect for worker rights at the Rawlings plant in Costa Rica could be cleaned up overnight,” the report stated. Sarah Blaskey is a freelance reporter based in Pérez Zeledón. Her work has appeared in various publications and can be read here.